Especially among men, even more so among high level athletes, being open about mental health struggles can be seen as a weakness. 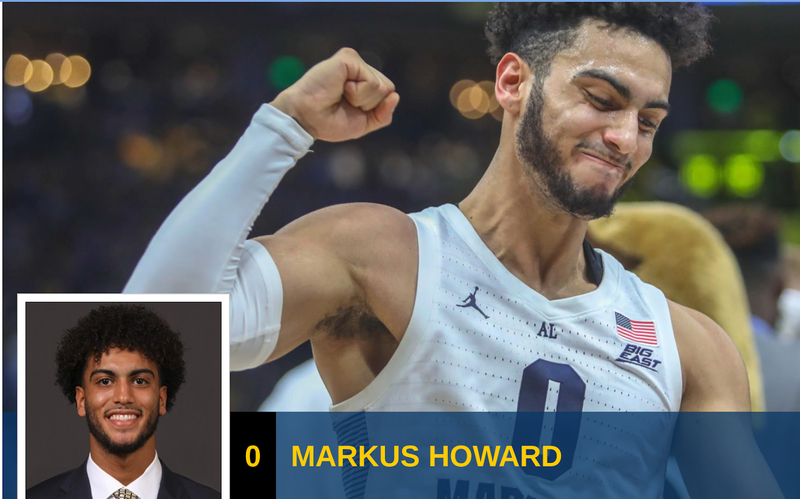 In a new ESPN video, Markus Howard of the Marquette Golden Eagles men's basketball team talks about going to a weekly therapy session. Moving on to college can be a hard thing for anyone, then add on the stress of competing at a high college level basketball program and it's not difficult to see how many athletes can struggle with all the demands. Some of the issues that these students, and we have to remember they are still young and students, struggle with and become headlines, may be avoided if more would take the approach that Howard is taking. He and his coach, Steve Wojciechowski, talk about how they see therapy as an important part of maintaining the level, to have an outlet without the stigma of weakness. No one should be afraid to ask for help, you aren't stronger if you go it alone and end up failing. A strong man is one who knows when to ask for help. I applaud Howard for being open about the positive steps he is taking to remain strong.